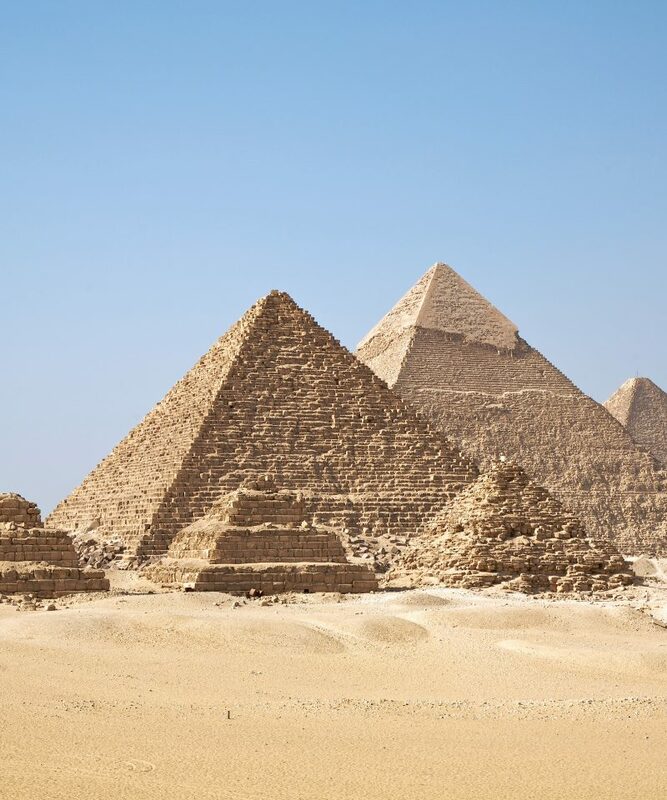 Travel back in time to the Land of the Pharaohs, home to the last remaining Wonder of the Ancient World – the Great Pyramids of Giza. Marvel at magnificent monuments, following in the footsteps of the great Pharaohs as you make your way across immense dessert landscapes and down the mighty Nile River. Discover this ancient civilisation steeped in the history of the grand temples of the Gods and their tales of the past. At the heart of the country lies the vast city of Cairo, bursting with life on every corner, from its sprawling streets lined with local produce to the intriguing old bazaar with its traditionally crafted souvenirs and spices. When you have soaked up the unmissable sights that this incredible country has to offer, take time to relax at the Red Sea; dive deep into the clear, warm waters amid colourful coral reefs teeming with vibrant marine life or simply enjoy this paradise of blue whilst unwinding on sandy shores. 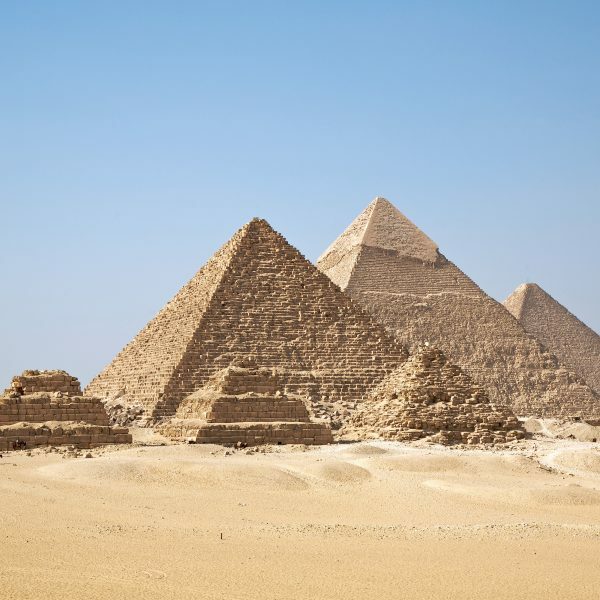 Egypt – a country of treasures and tombs, of mysteries and magic – once seen, never forgotten. Jordan, country of wonders, defined by magical monuments, nature reserves and home to one of the most famous archaeological sites in the world. 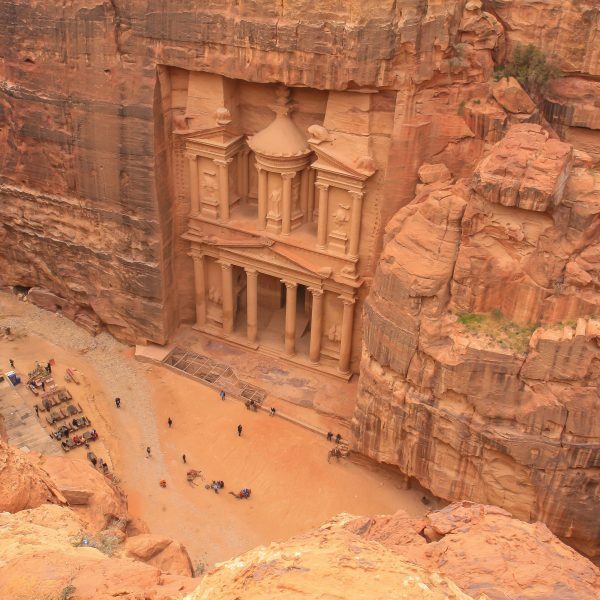 In the ancient Arab Nabatean city of Petra you will find magnificent views of Al-Khazneh – ‘The Treasury’ – one of the most elaborate temples of its kind; voted one of the ‘new’ Seven Wonders of the World. Set in a narrow valley with tombs, temples and monuments carved into the surrounding pink sandstone cliffs, Petra earns its nickname, the ‘Rose City’. Unravel a path through diverse and dramatic landscapes with spectacular mountain panoramas and inspiring desert scenes to join the Bedouin people in Wadi Rum. After the sun sets over the rose red terrain, take a moment to treasure the twinkling night as you camp out in the desert for some of the world’s best stargazing. An opportunity not to be missed – floating in the Dead Sea is an experience like no other. 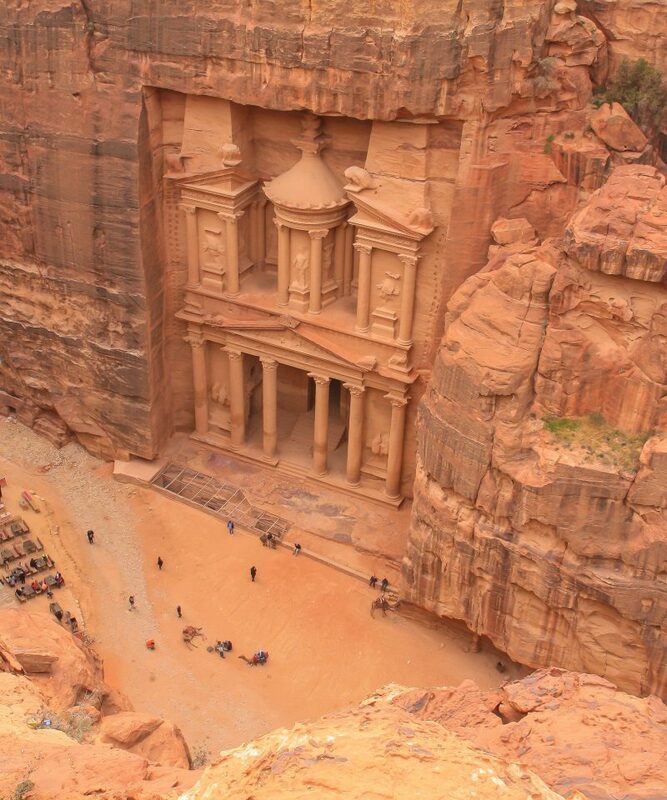 Tread upon this Holy Land to discover the history wrapped up in this desert kingdom – visit Jordan. 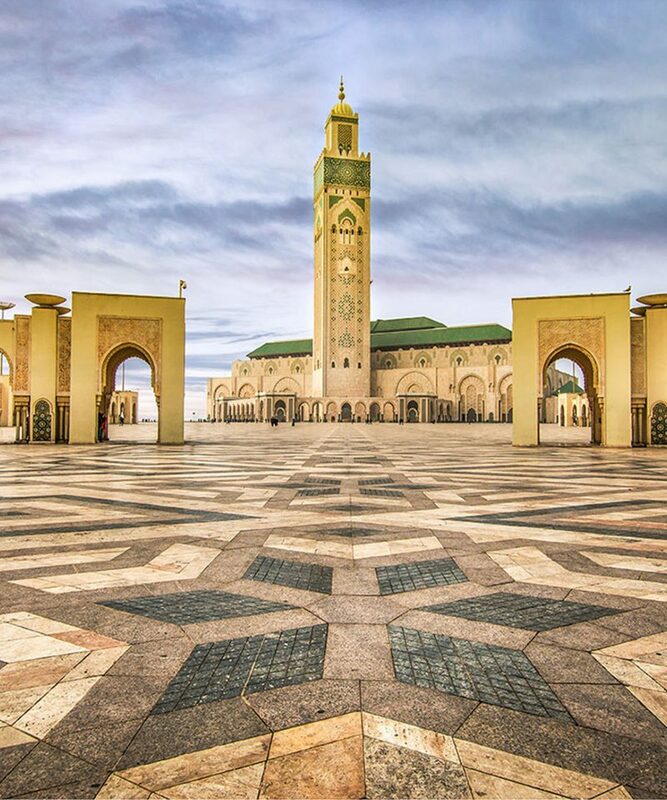 A country of epic mountain ranges, ancient cities and sweeping deserts, Morocco is known as the Gateway to Africa. A tourist hotspot, Marrakech, exudes a kind of mystique like no other city. Step into another world as you lose yourself in the labyrinth of lanes leading to the dizzying array of souks where you will find haggling with the locals is part of the fun. Selling everything from carpets and lanterns to moccasins and ingredients for magic spells, experience the excitement of never quite knowing what’s around the next corner. When night falls, musicians and entertainers draw excitable crowds as snake charmers and storytellers compete for centre stage. Further afield, explore mountain villages with breathtaking panoramic views across lush valleys and argan groves where you can enjoy the warm hospitality of the Berber people as you sip fresh mint tea and tuck into steaming tagines. Travel to ancient medinas to discover the kings of the Kasbahs then join a caravan of camels, disappearing into the dusk with the Nomads over the dunes to sleep underneath the stars. 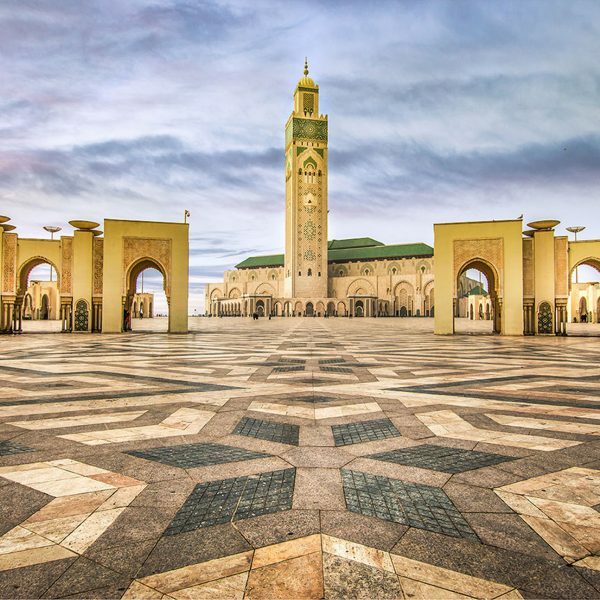 Compellingly exotic, from the Saharan desert to the peaks of the High Atlas Mountains, find out what hidden discoveries await you – visit Morocco.